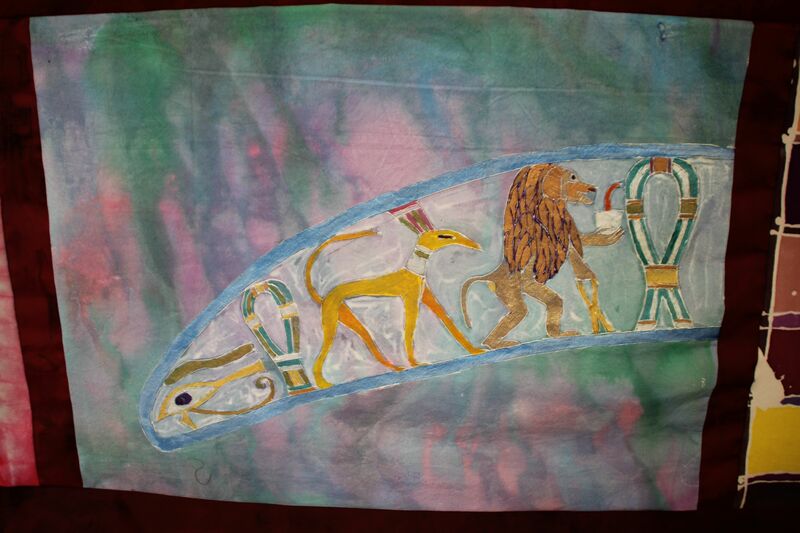 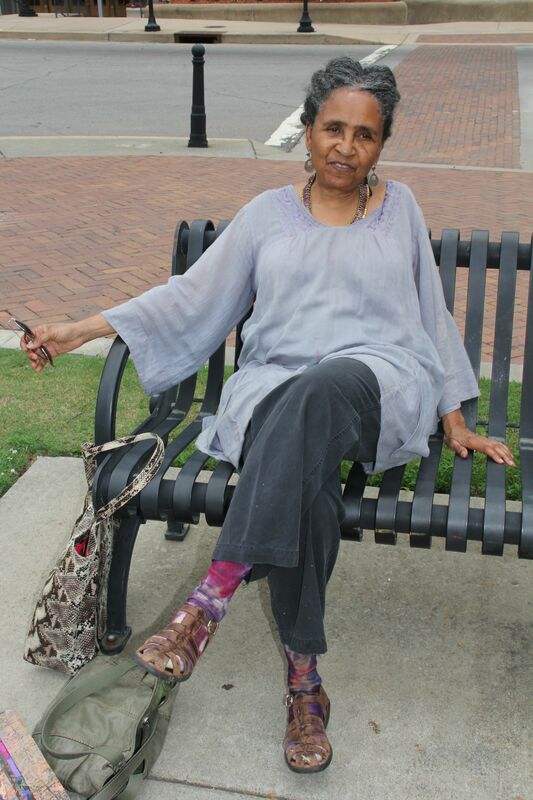 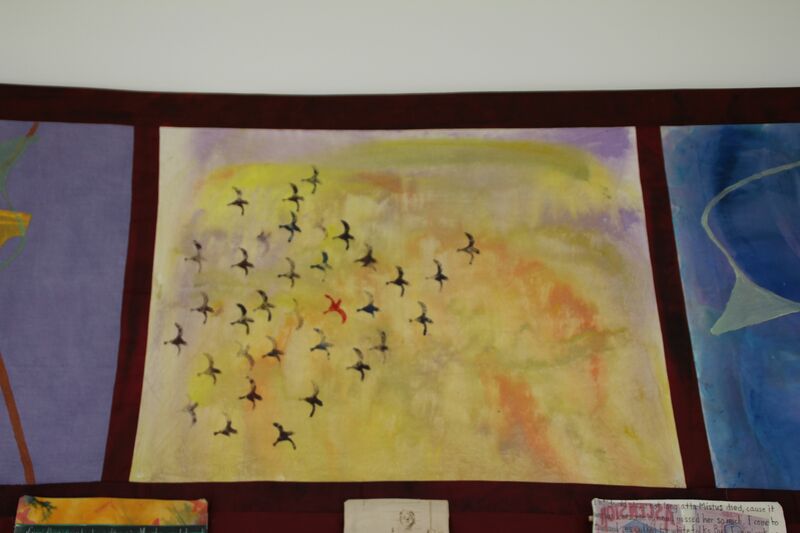 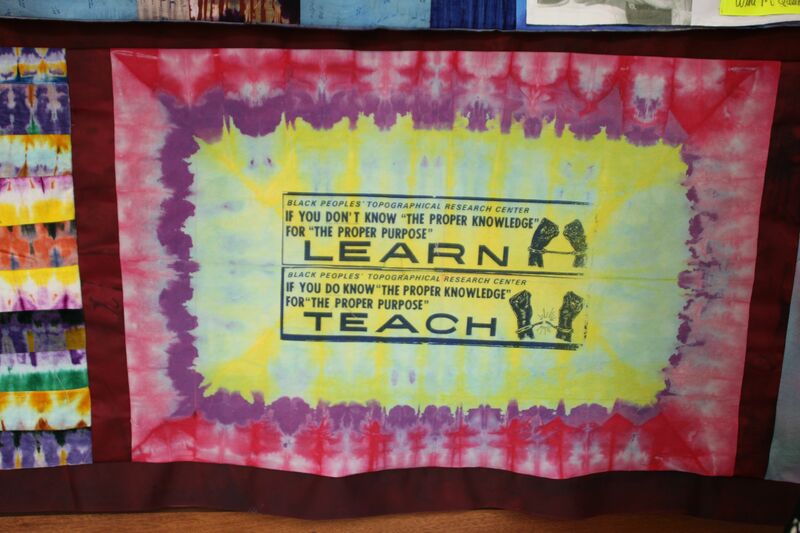 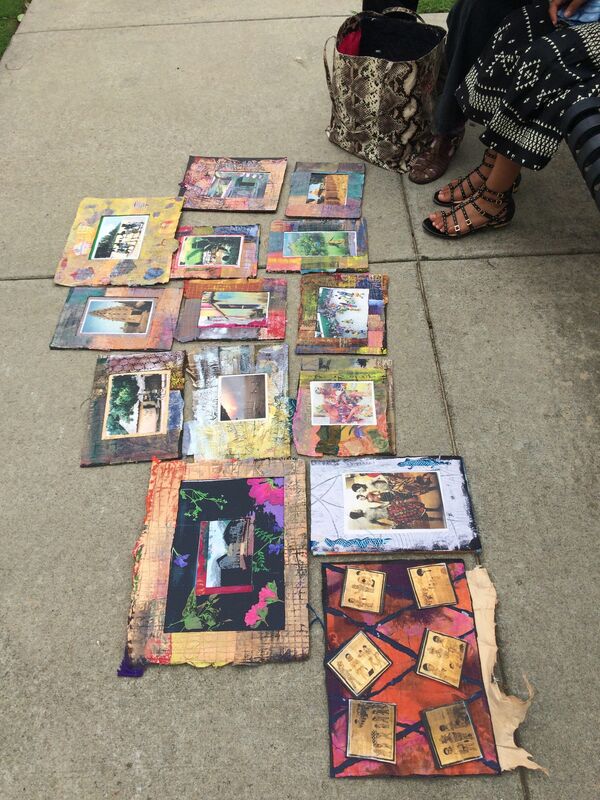 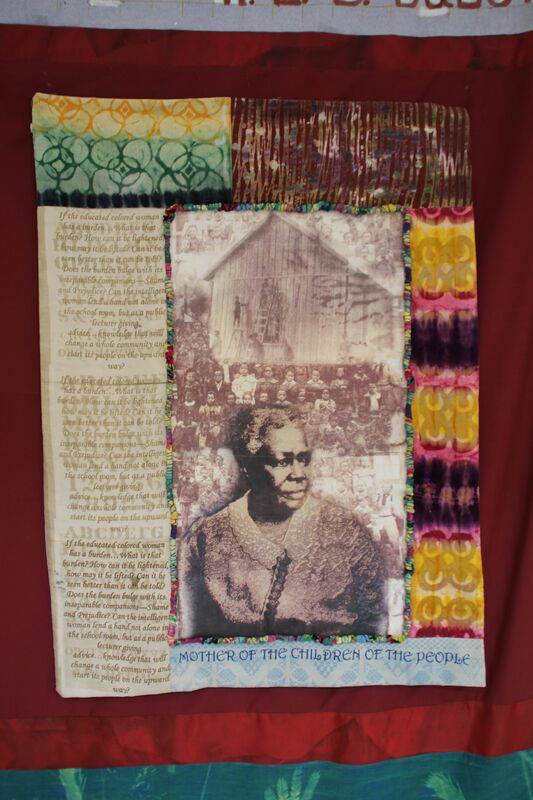 Wini McQueen is known for her dyer’s art-painting, stamping and resist patterning textiles for clothing. 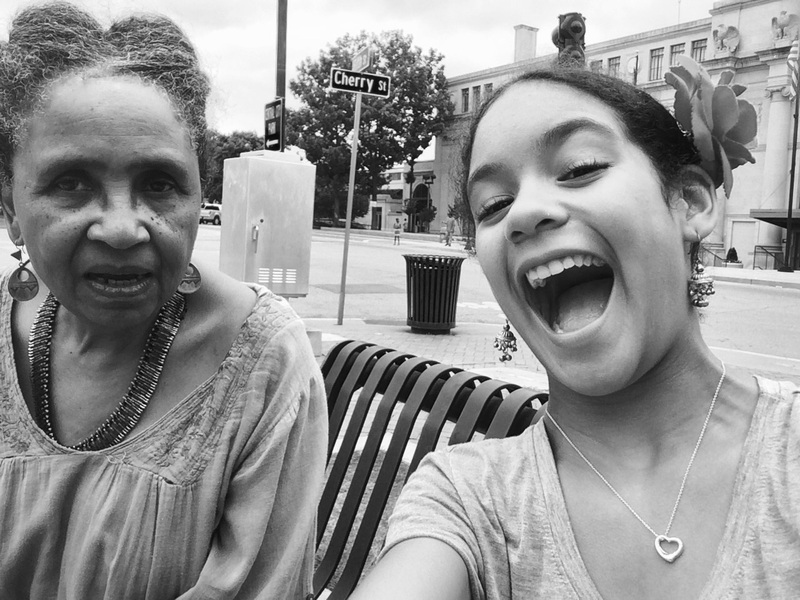 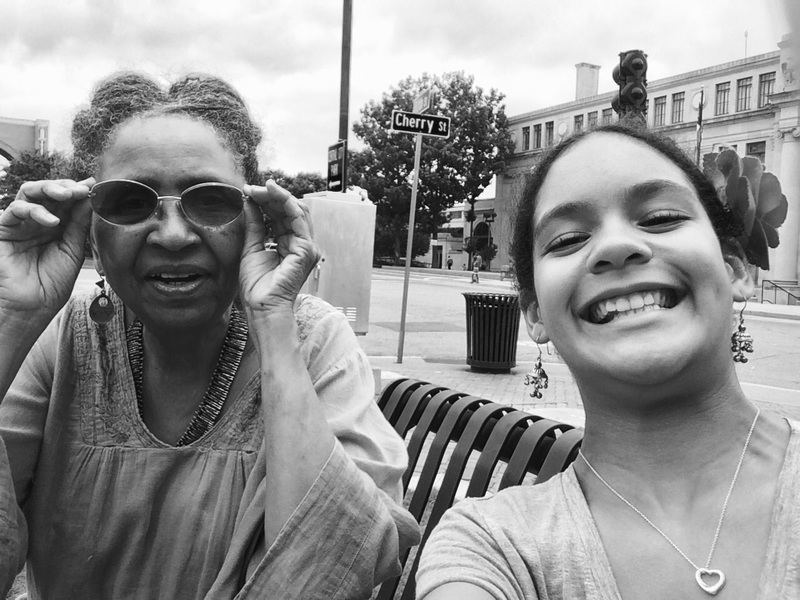 In addition, Wini has a passion for recording stories from the African Diaspora through interviews, sound recordings and photographs. 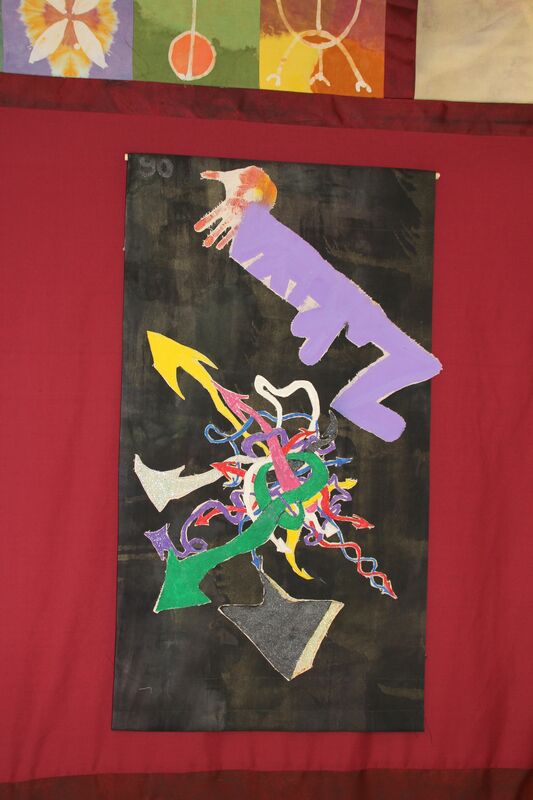 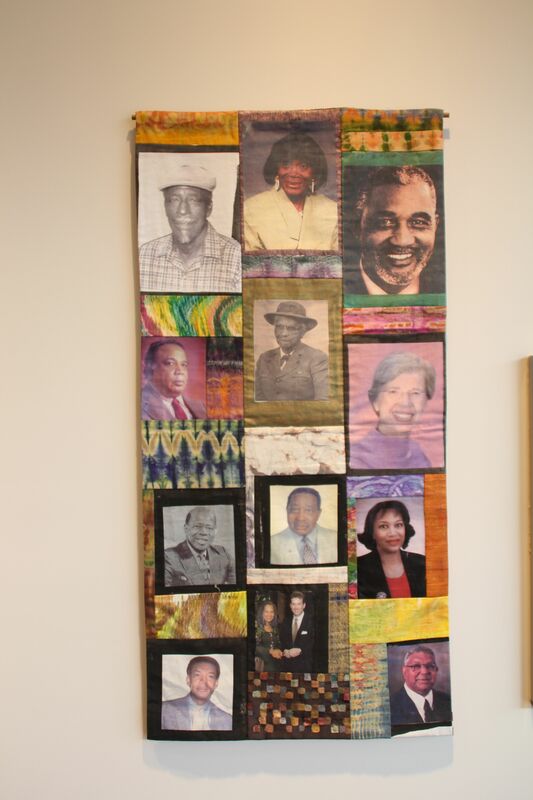 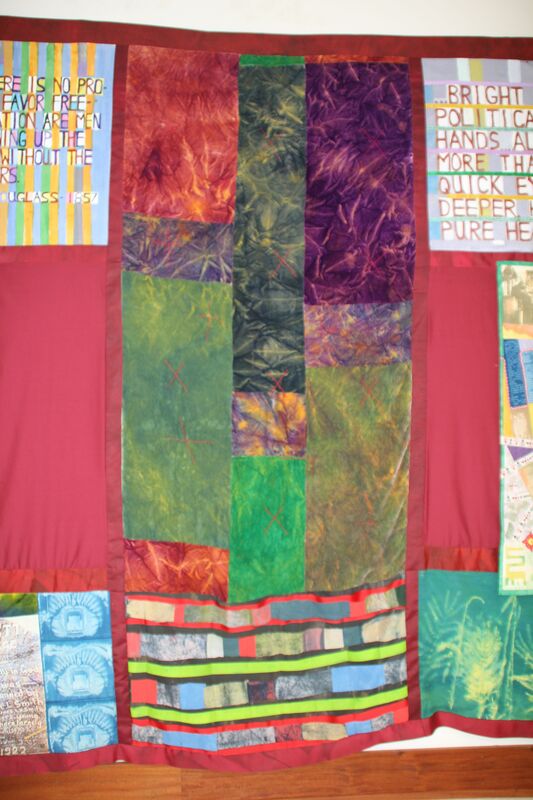 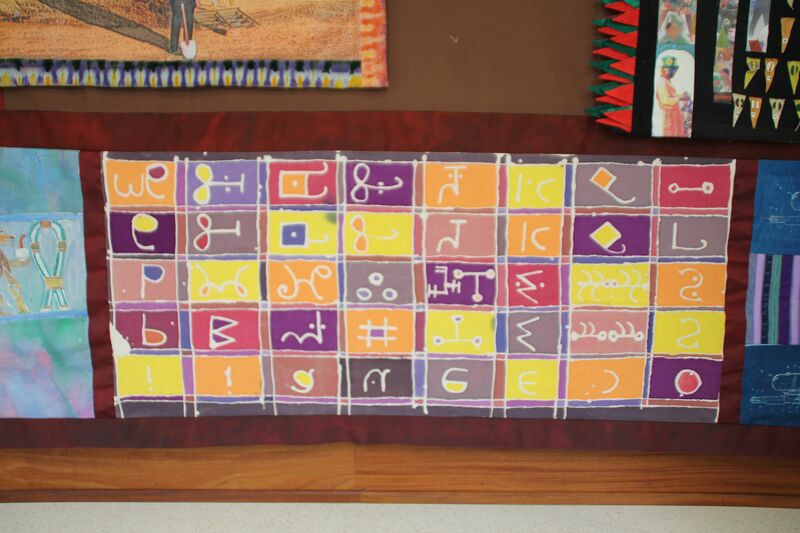 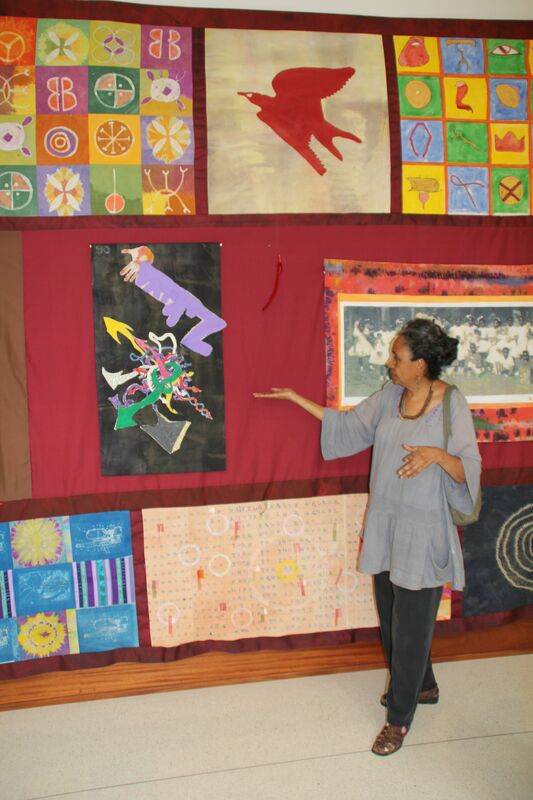 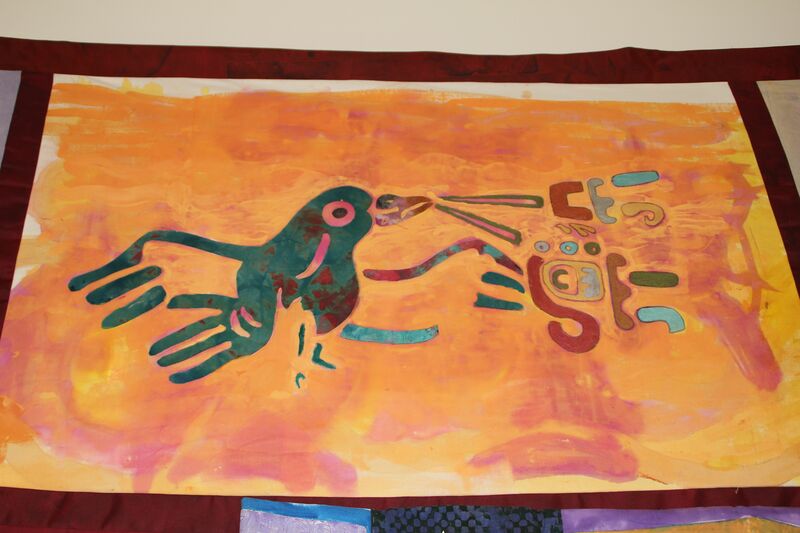 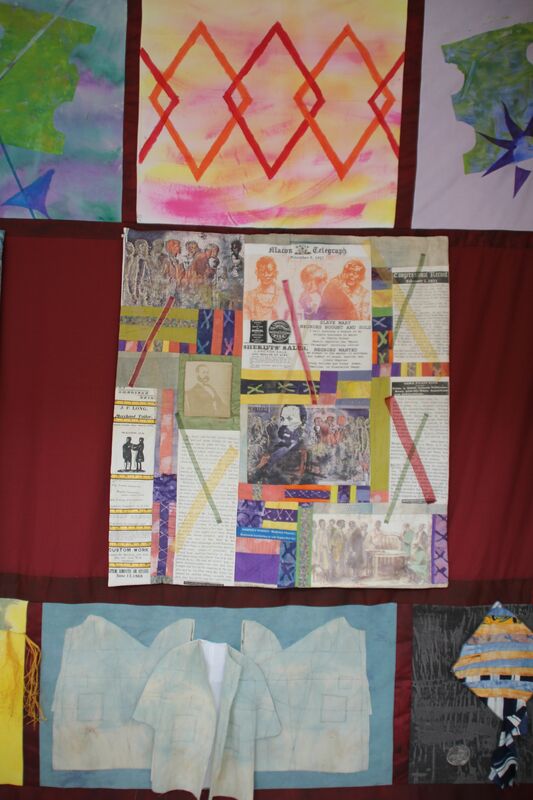 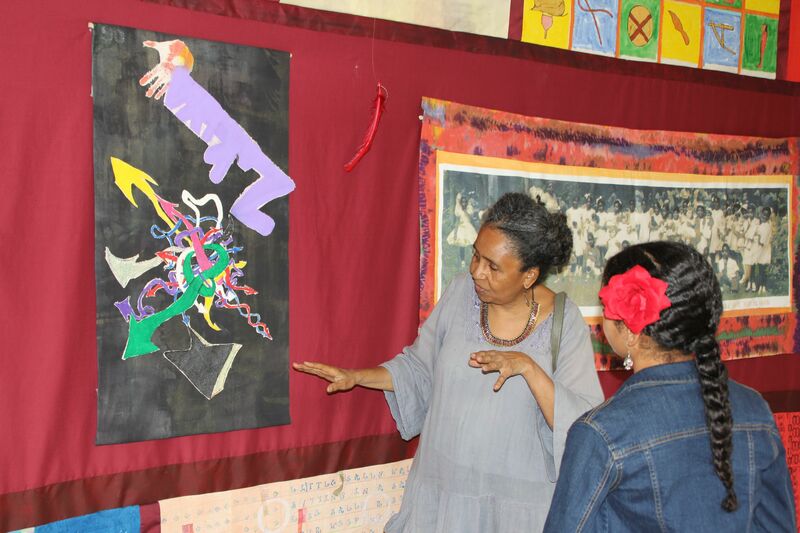 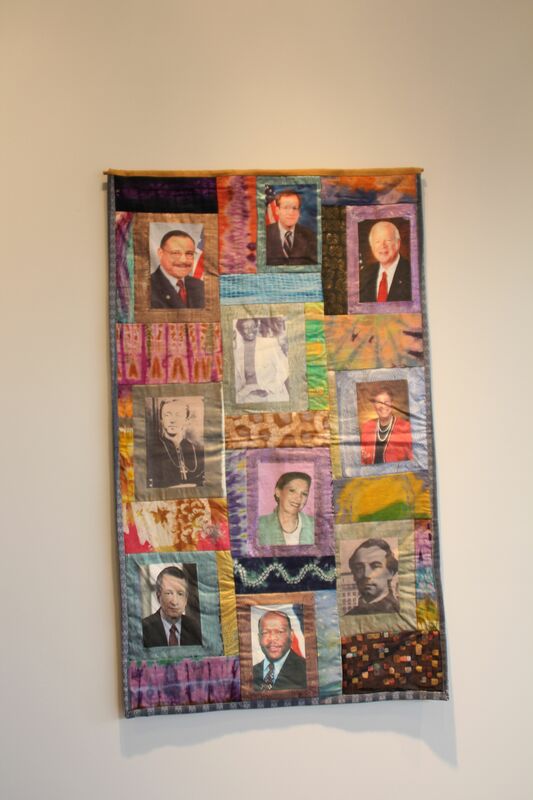 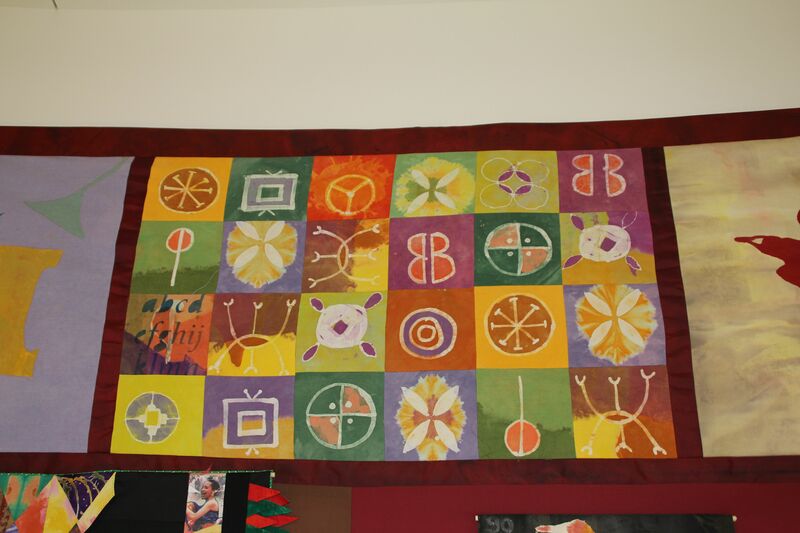 When both the interest in dyer’s art-painting and recording stories merged, the results were hand dyed pieced works with quilt-like qualities which she calls “urban kente”. 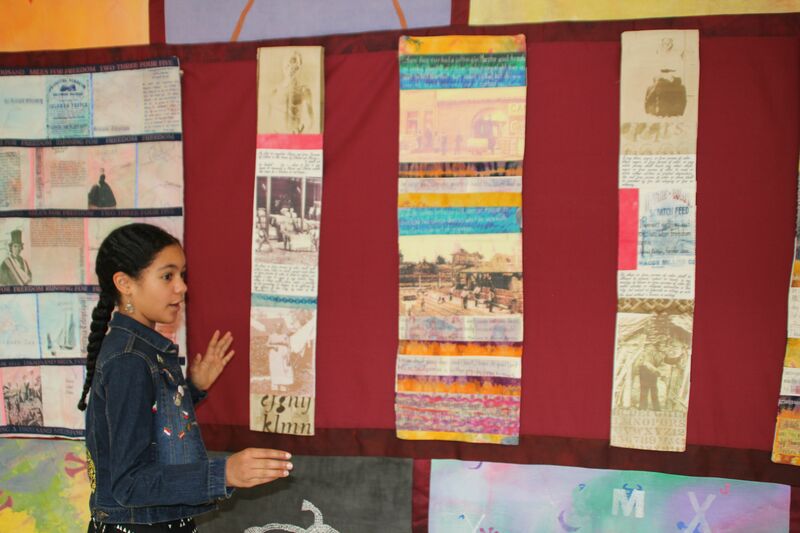 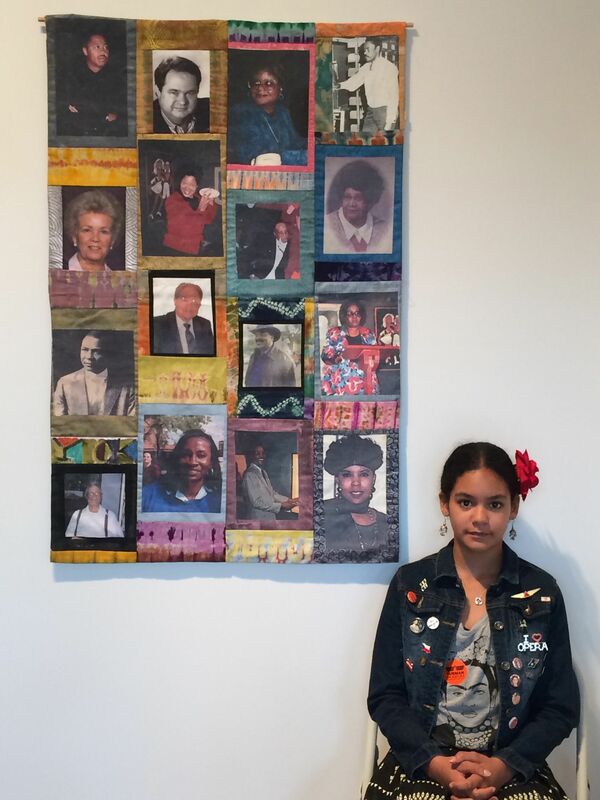 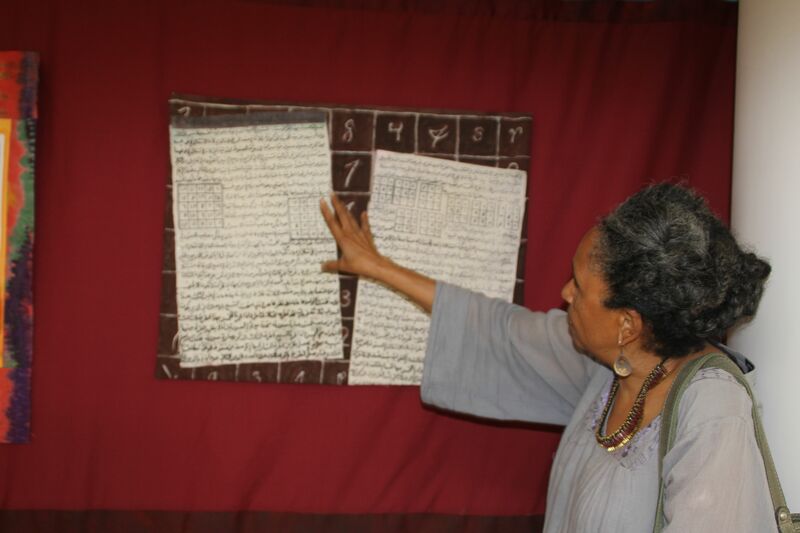 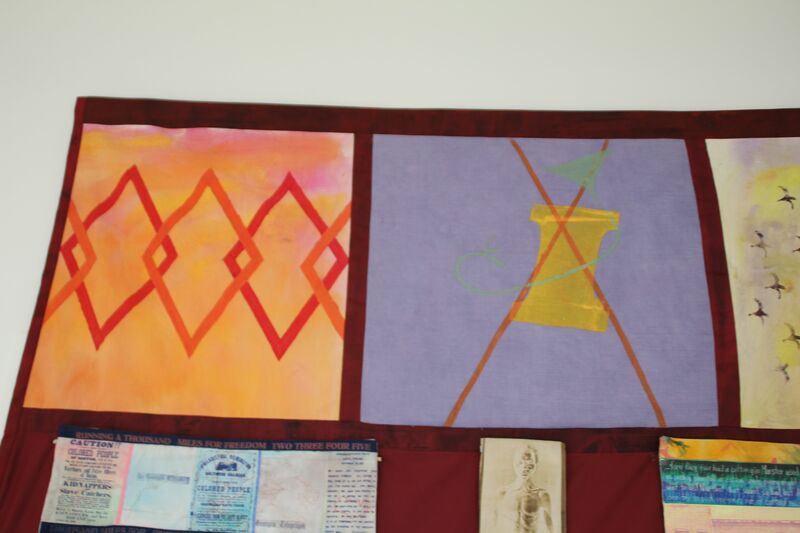 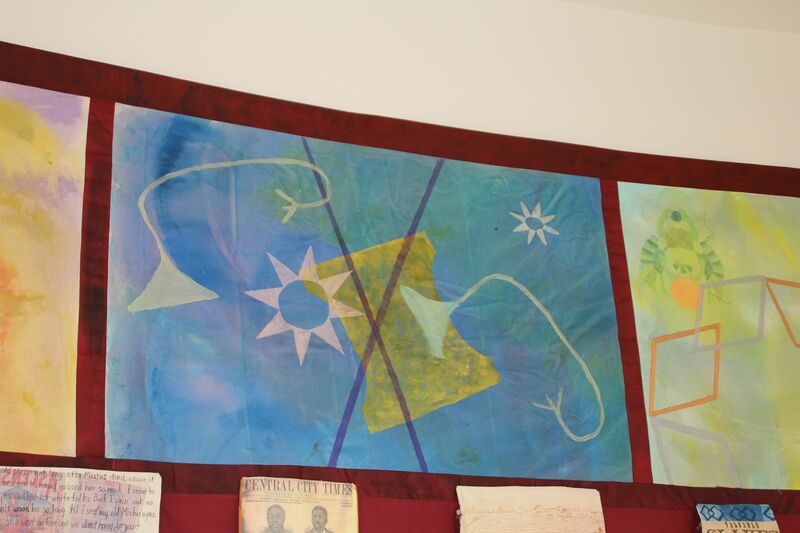 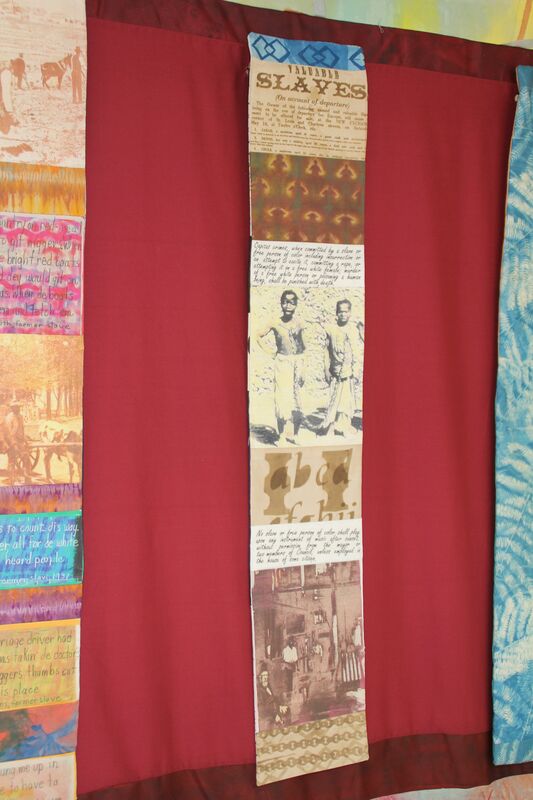 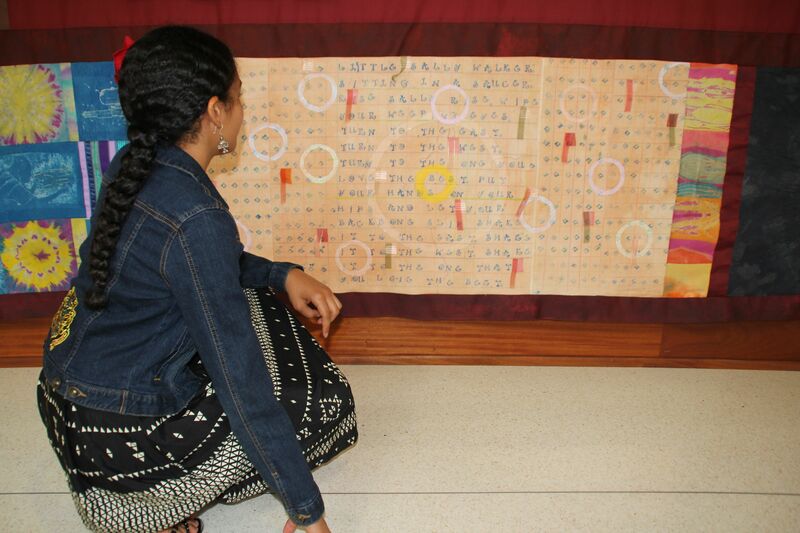 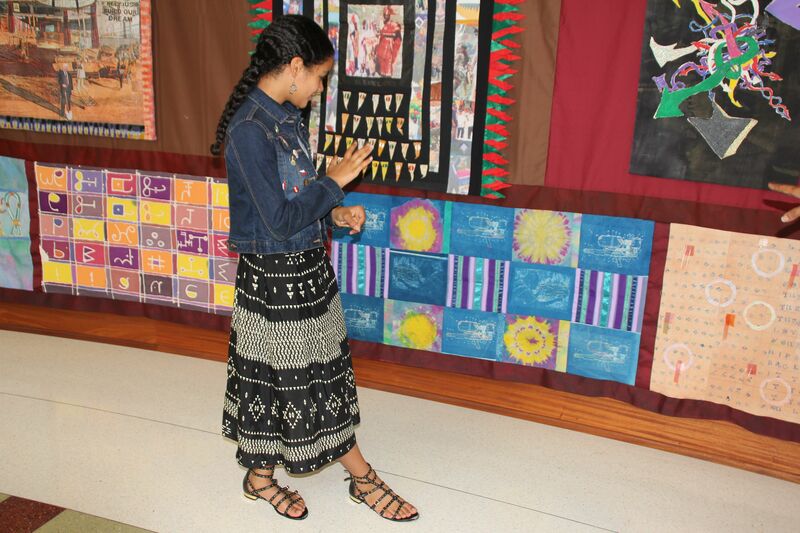 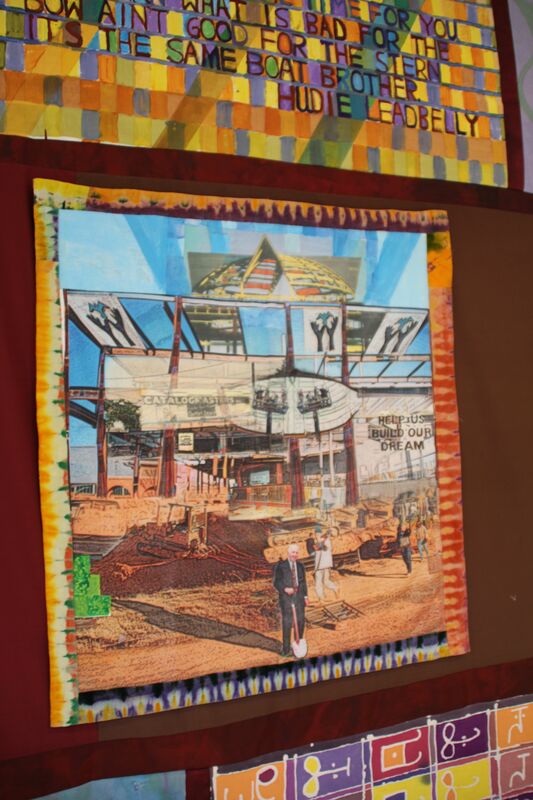 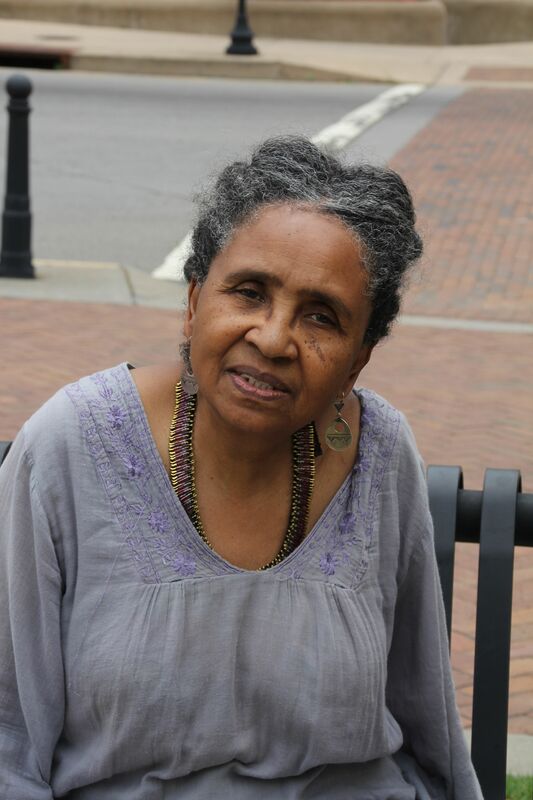 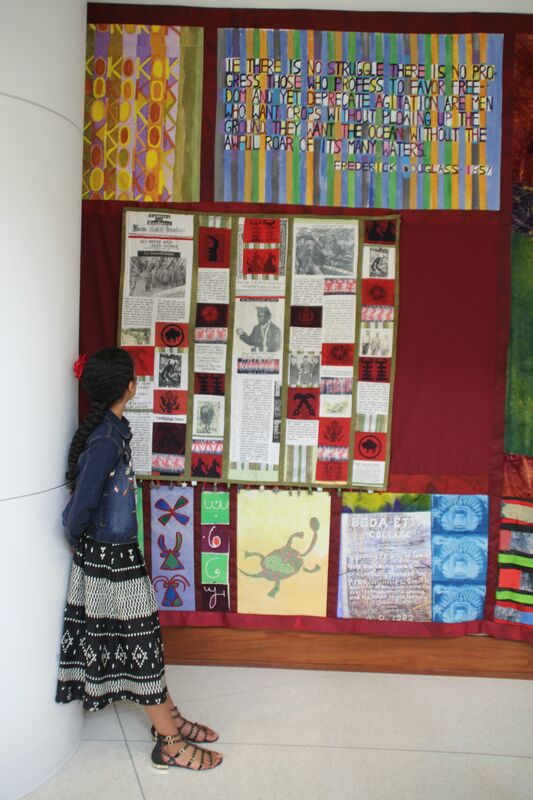 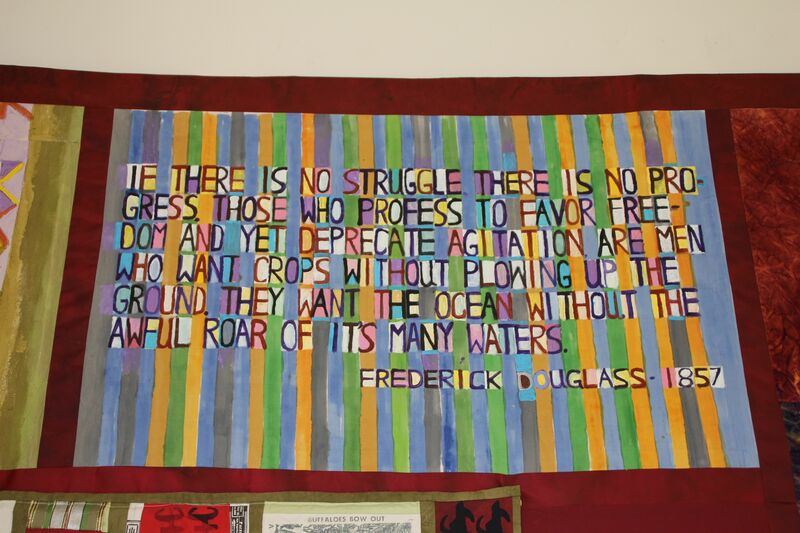 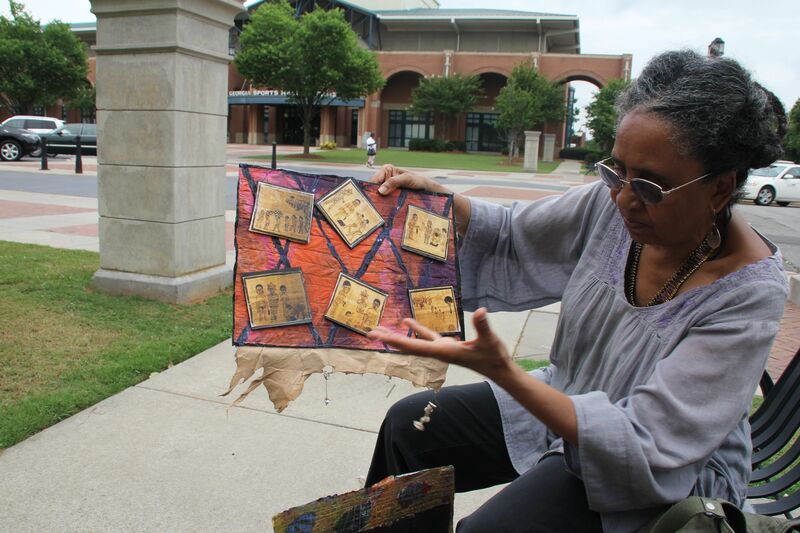 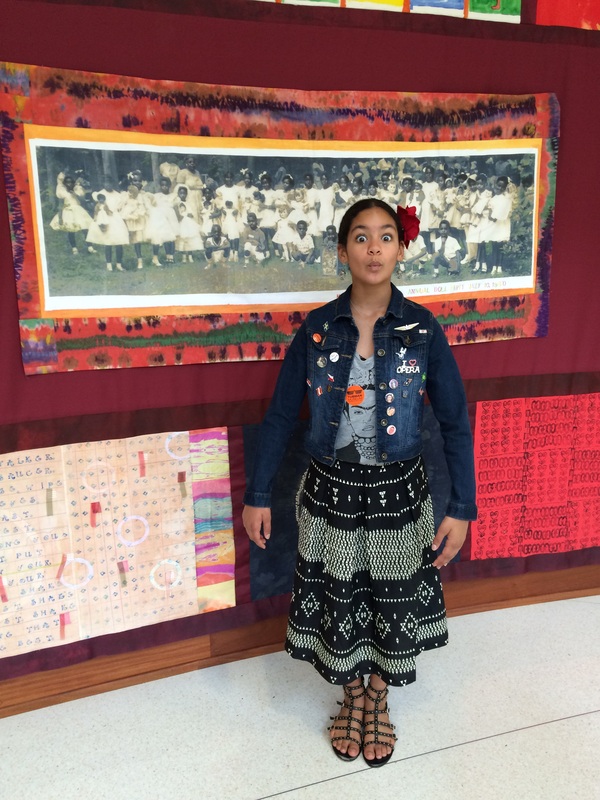 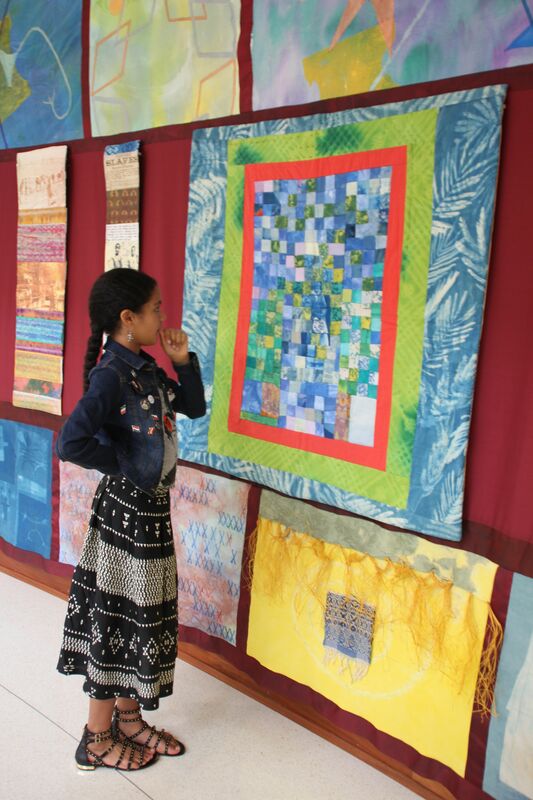 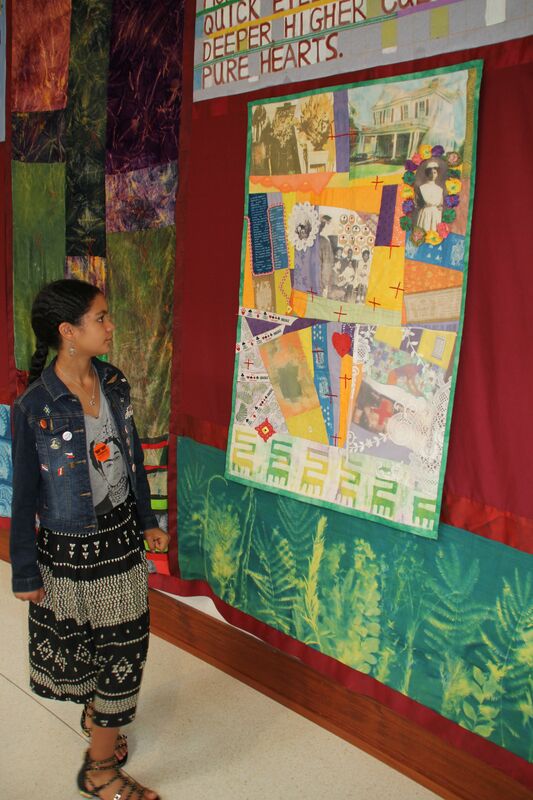 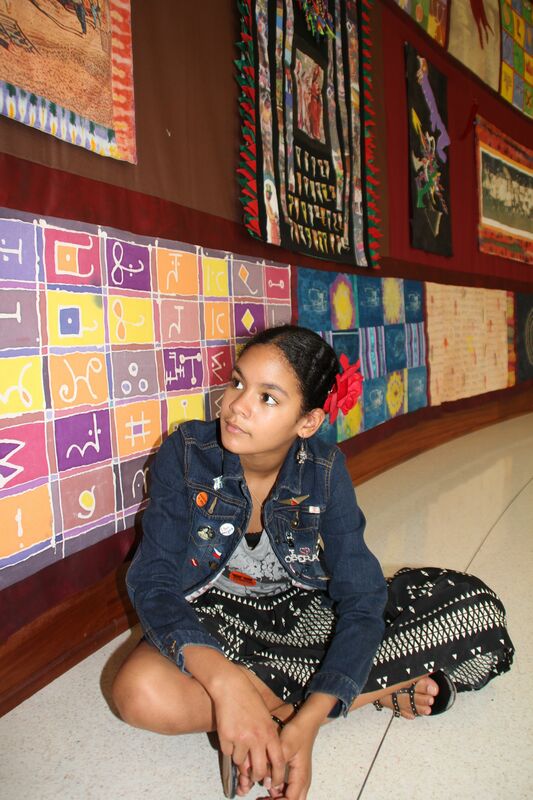 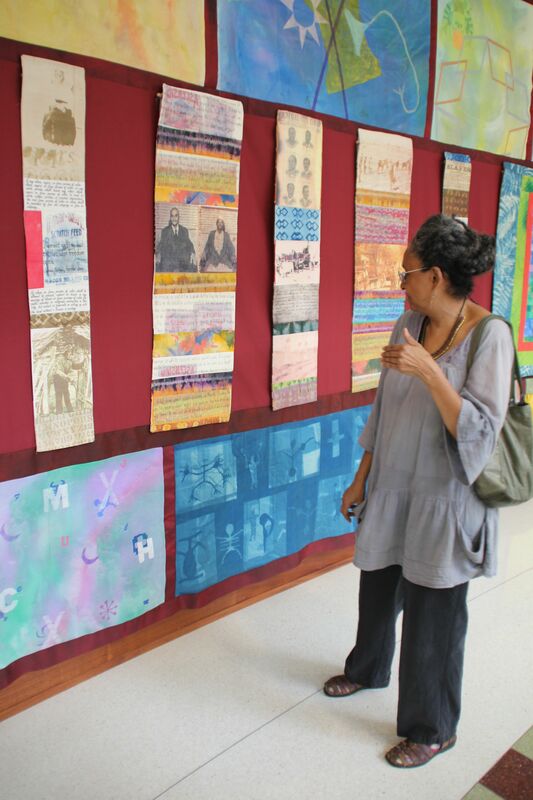 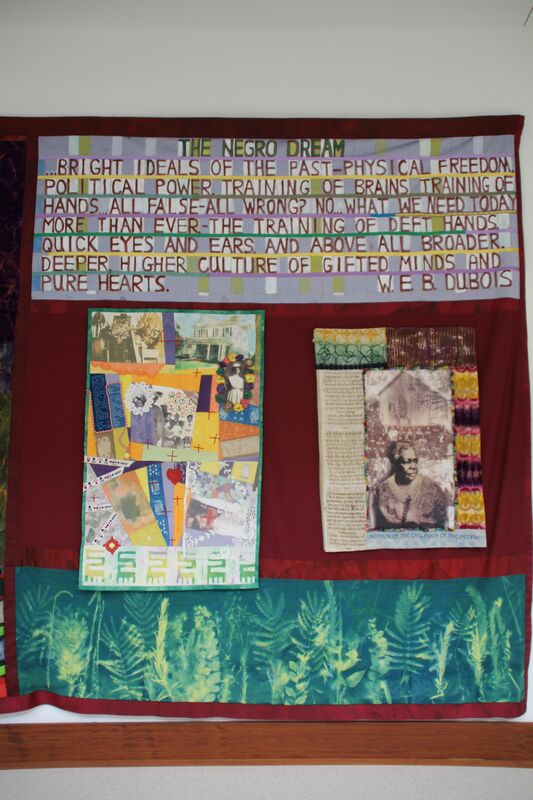 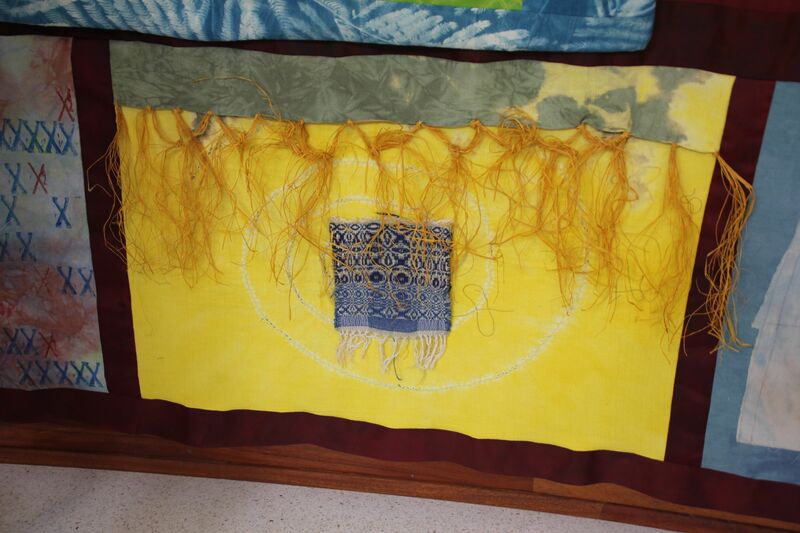 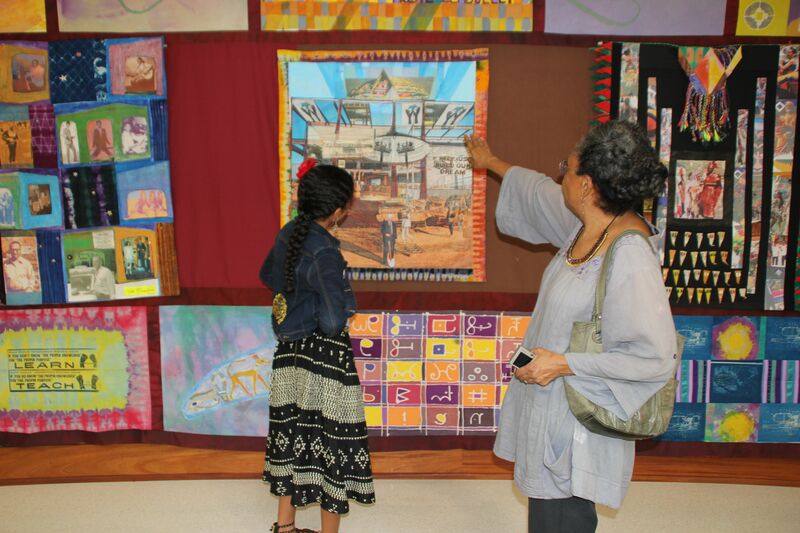 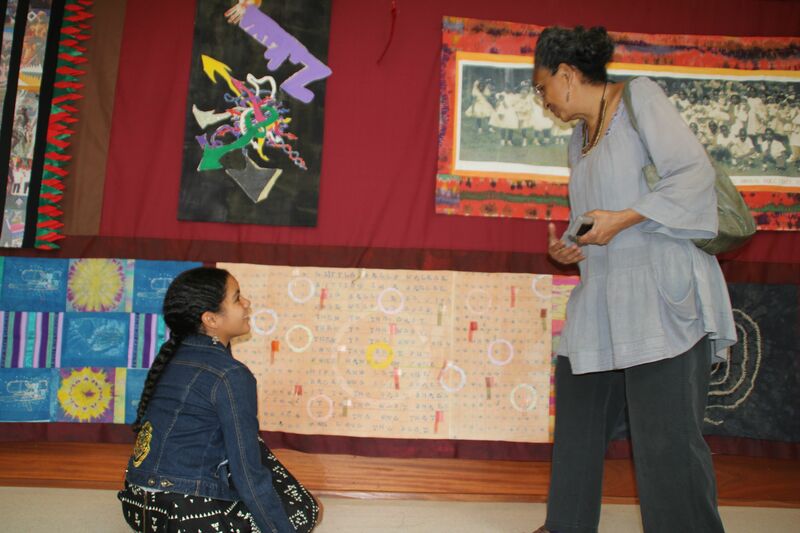 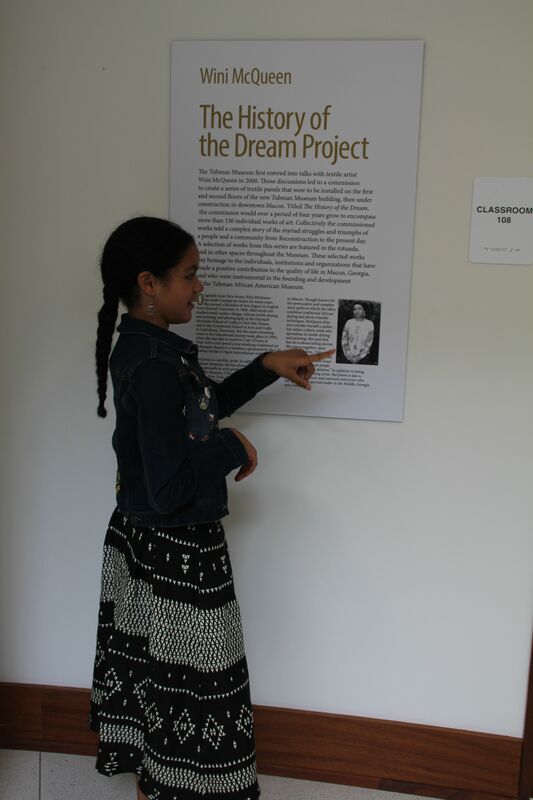 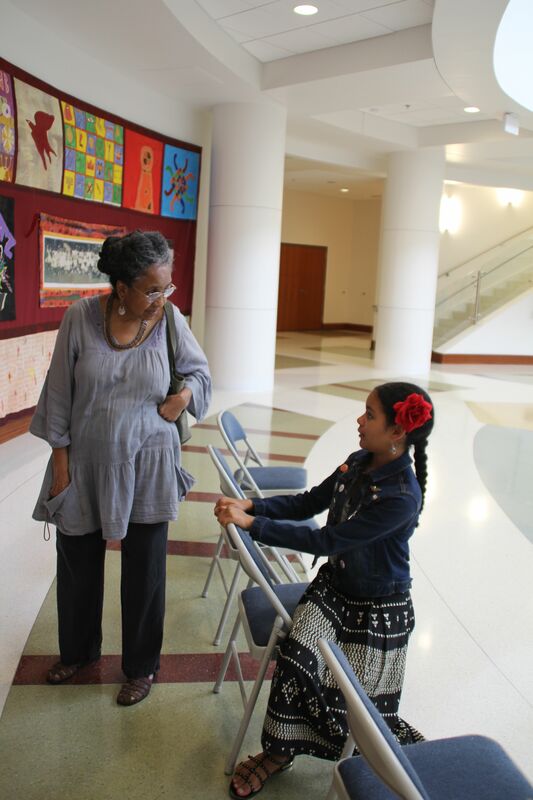 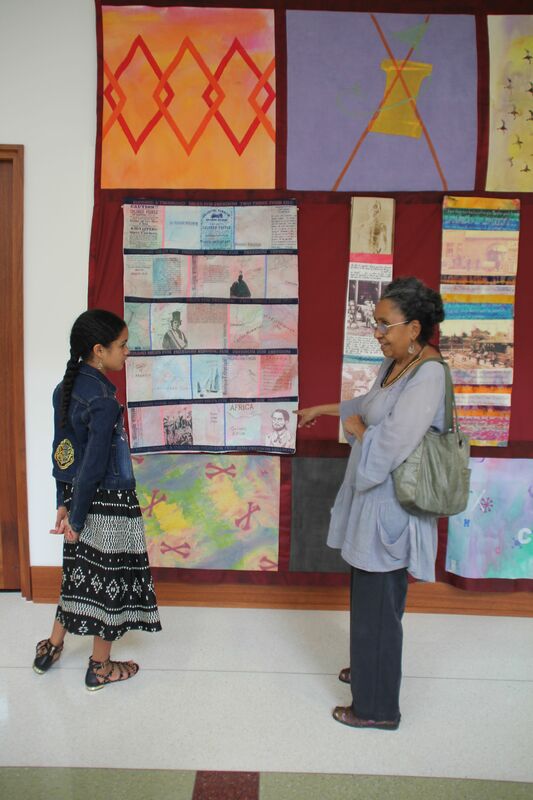 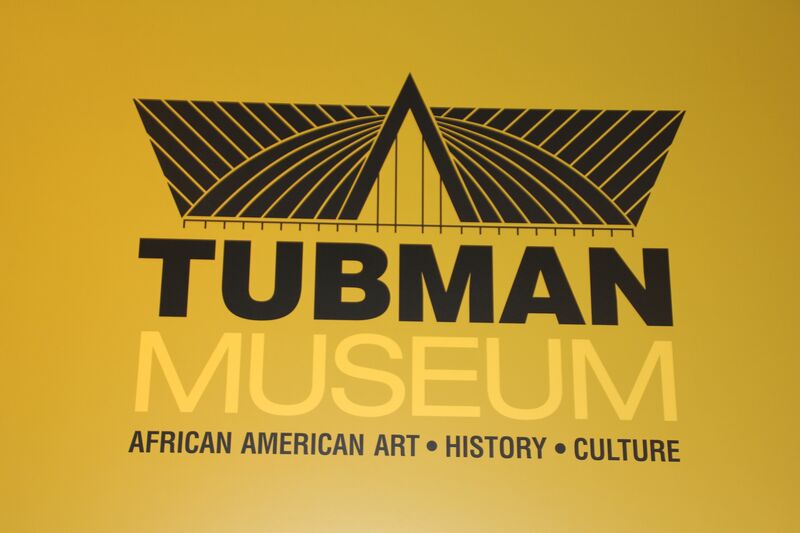 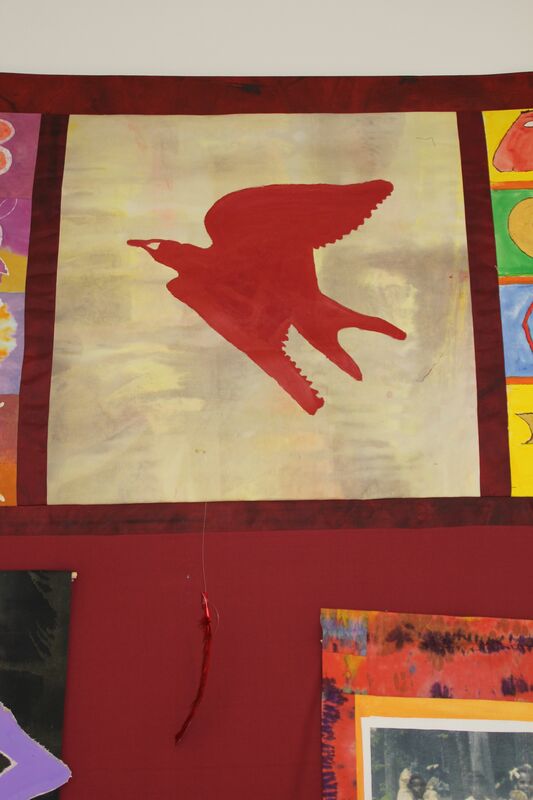 Wini spent the last five years crafting textiles about the written word from the African Diaspora that covers the two story rotunda walls of The Tubman African America Museum. 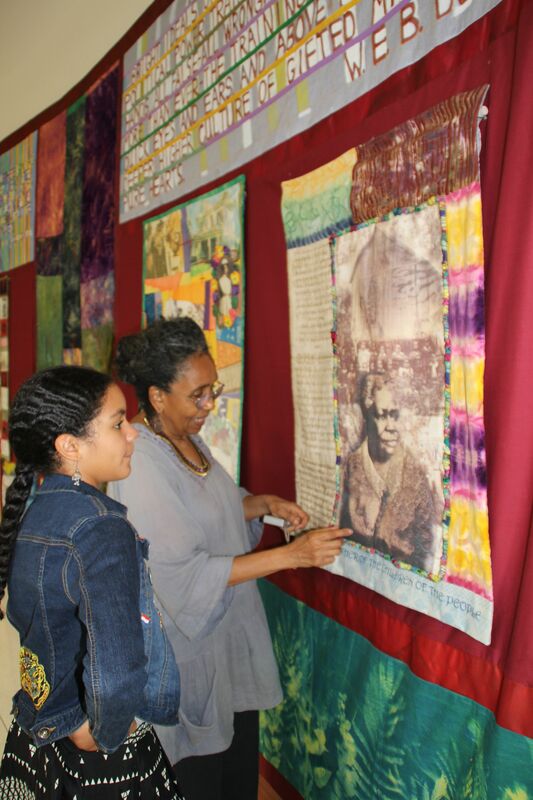 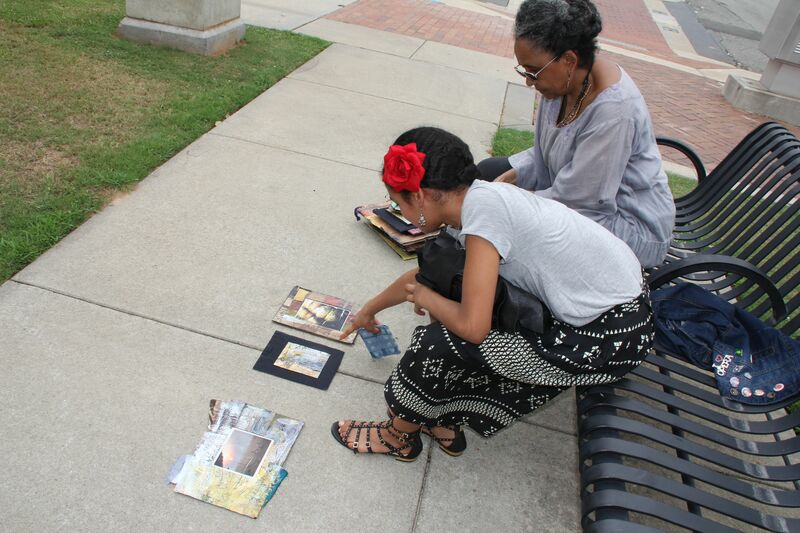 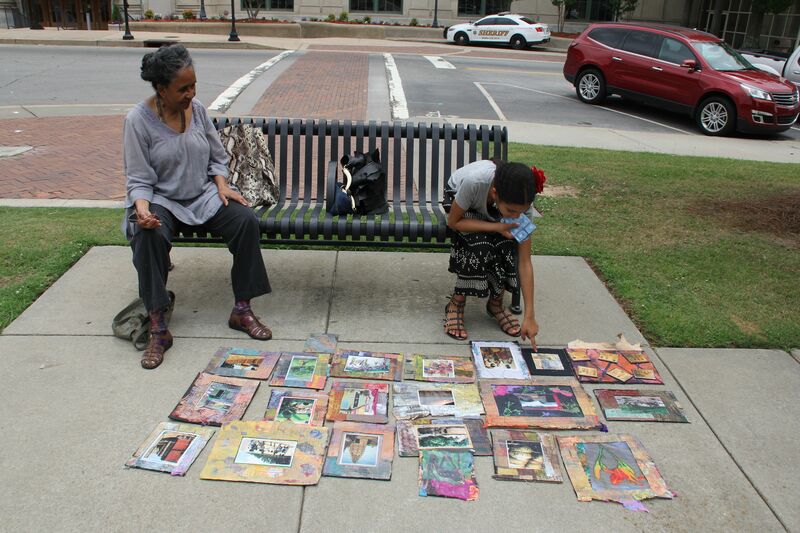 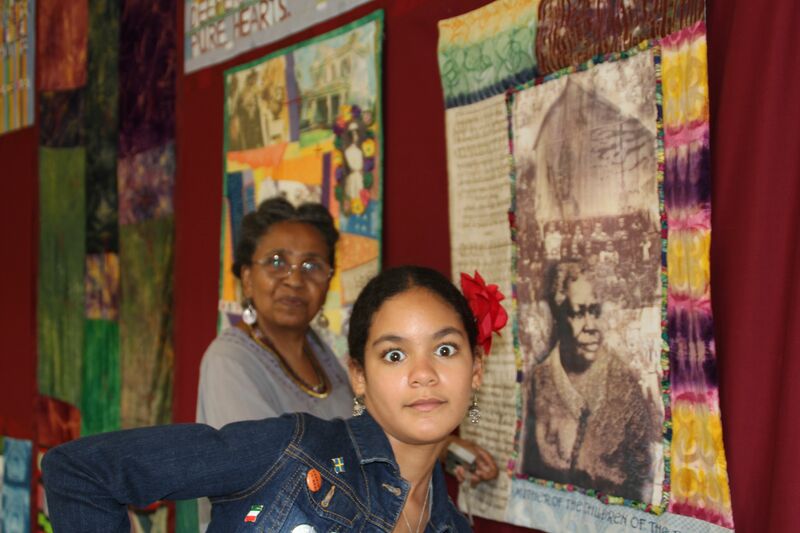 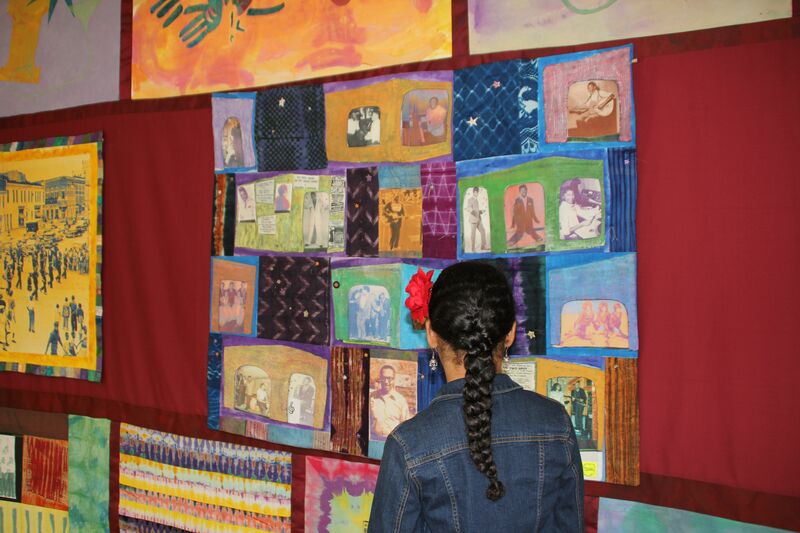 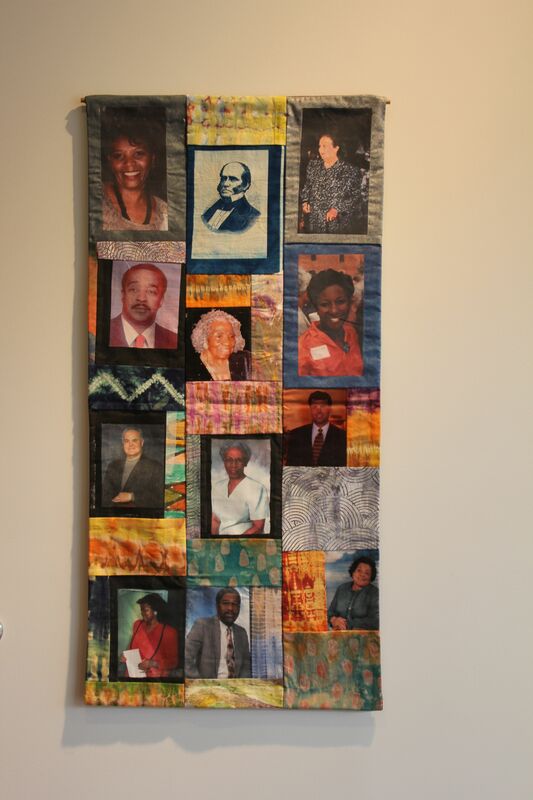 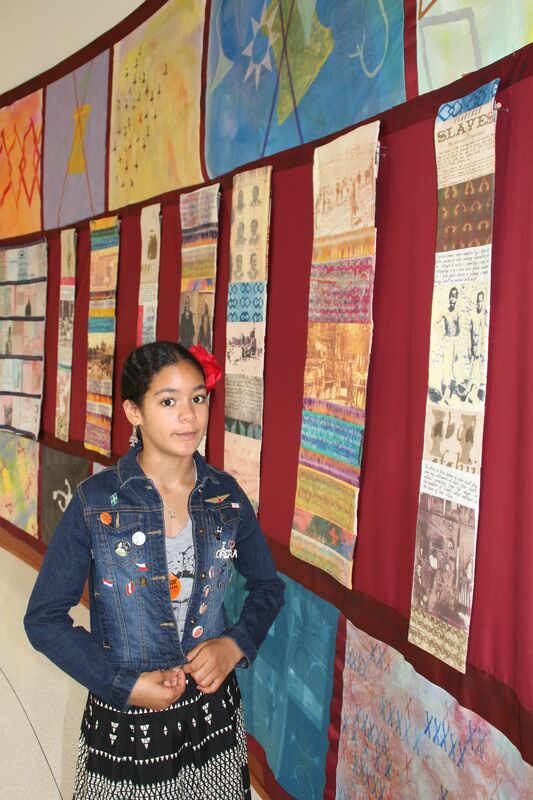 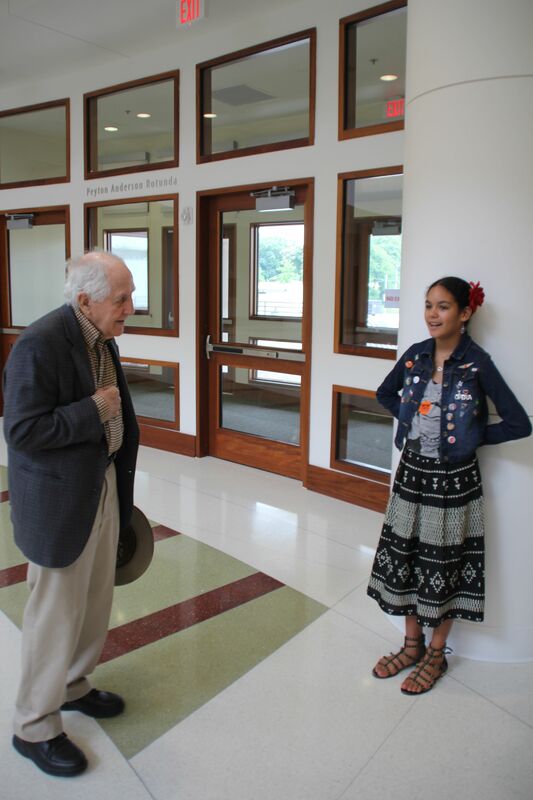 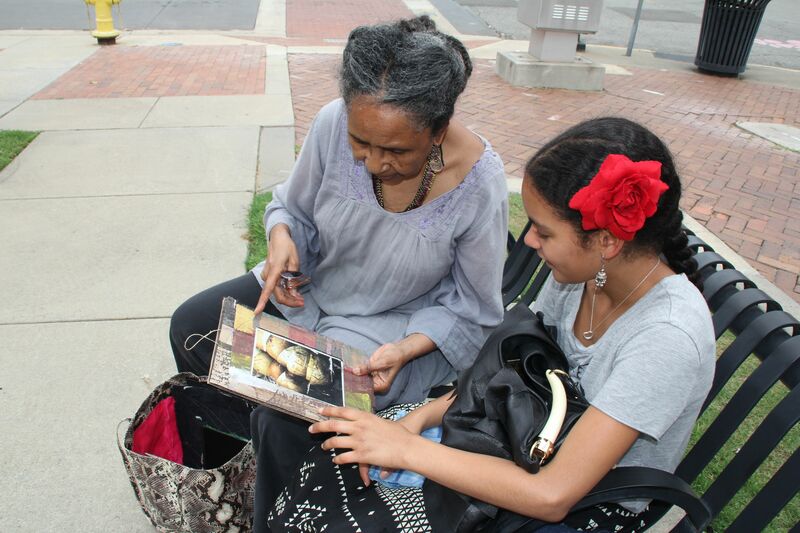 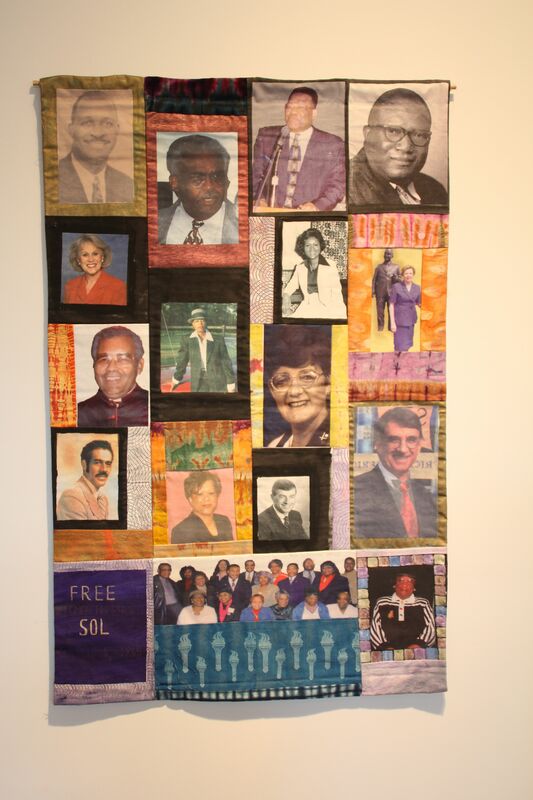 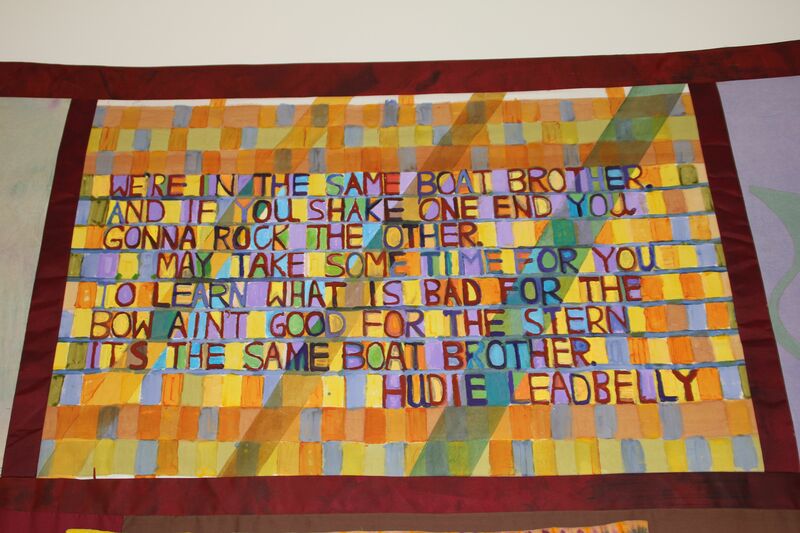 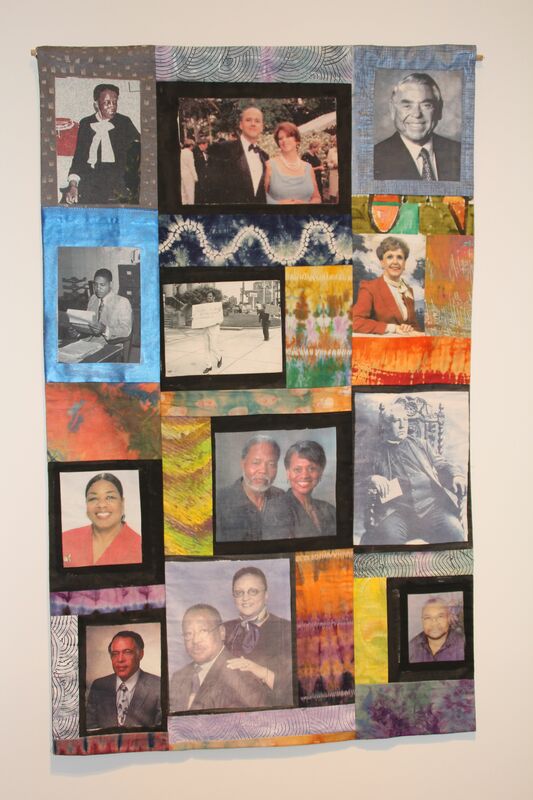 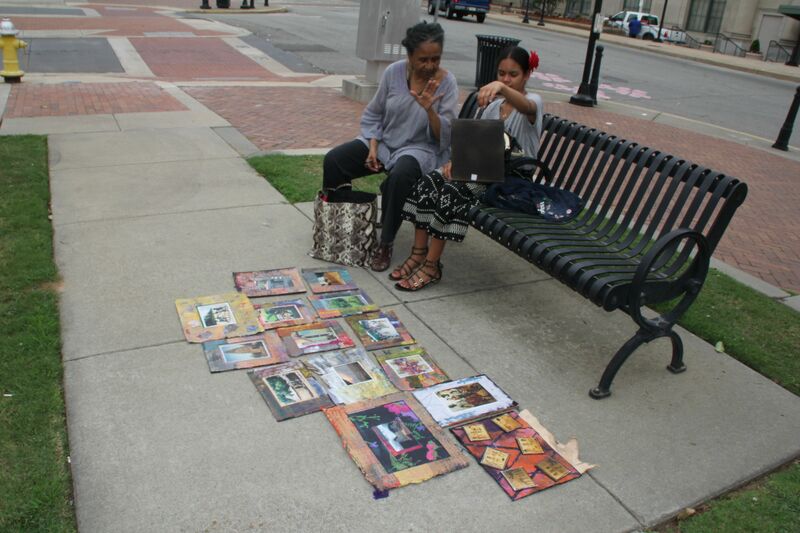 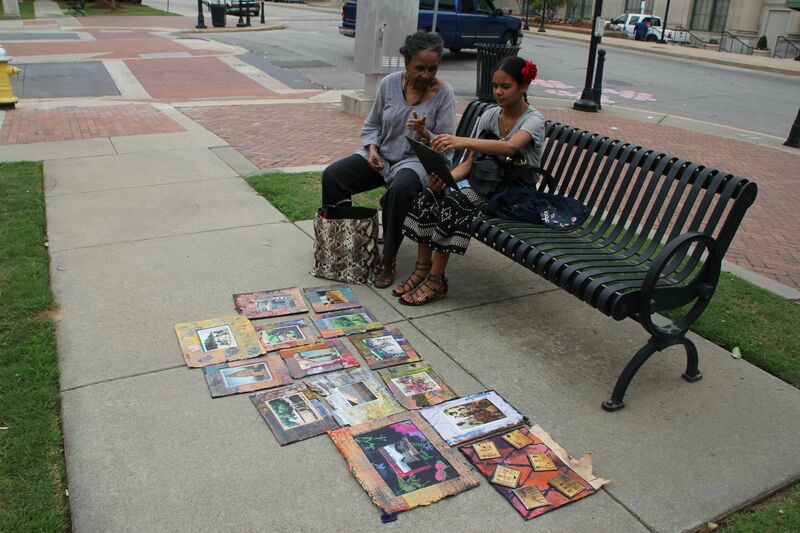 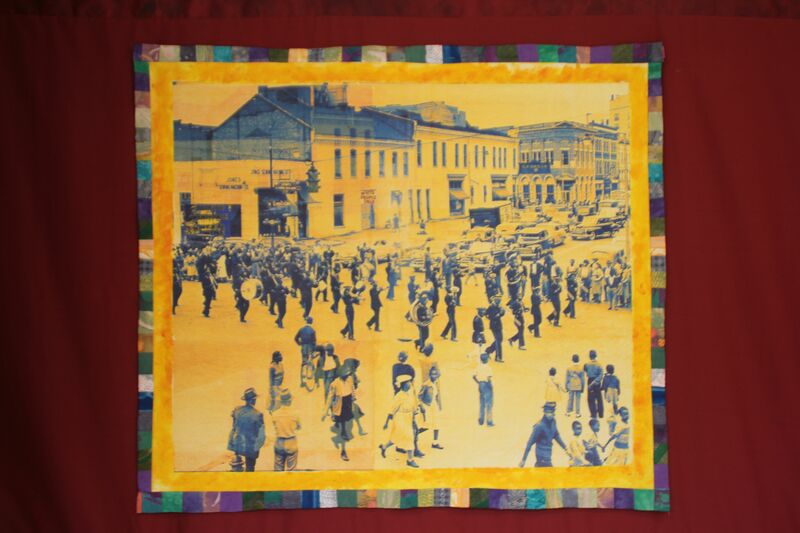 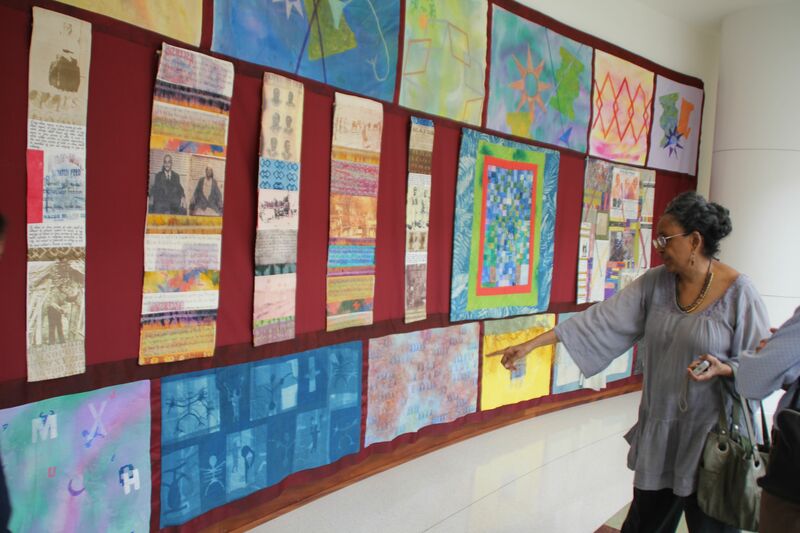 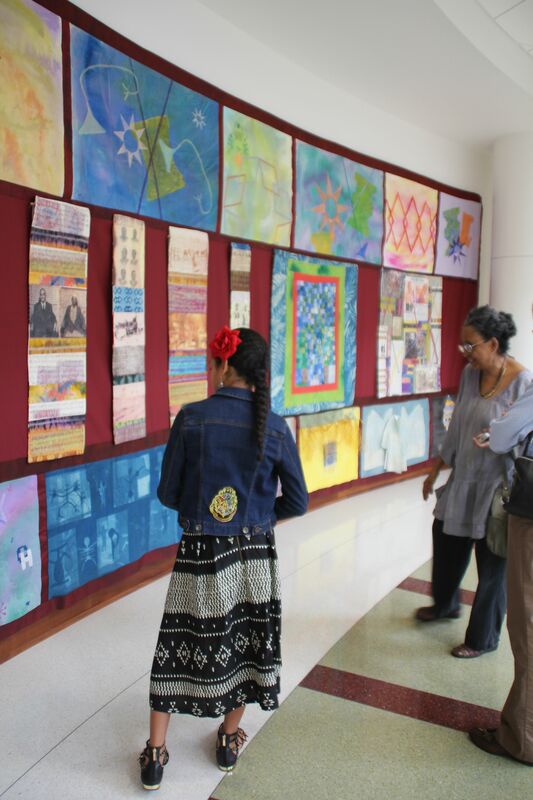 Quilts about local Macon residents – a nurse/mortician and a school teacher. 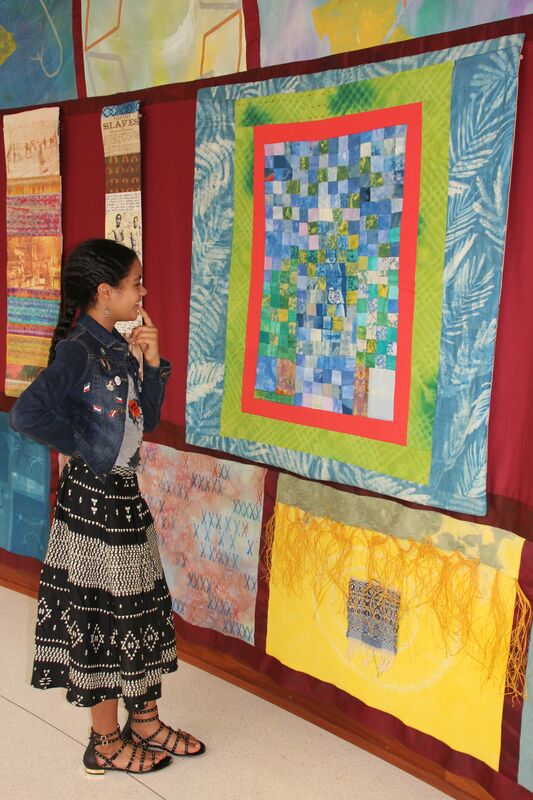 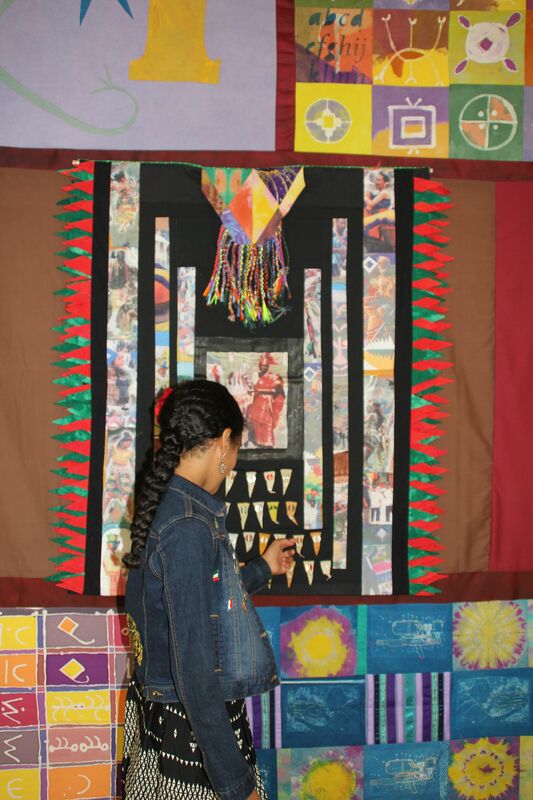 Wini explaining that this quilt was made entirely by the children.